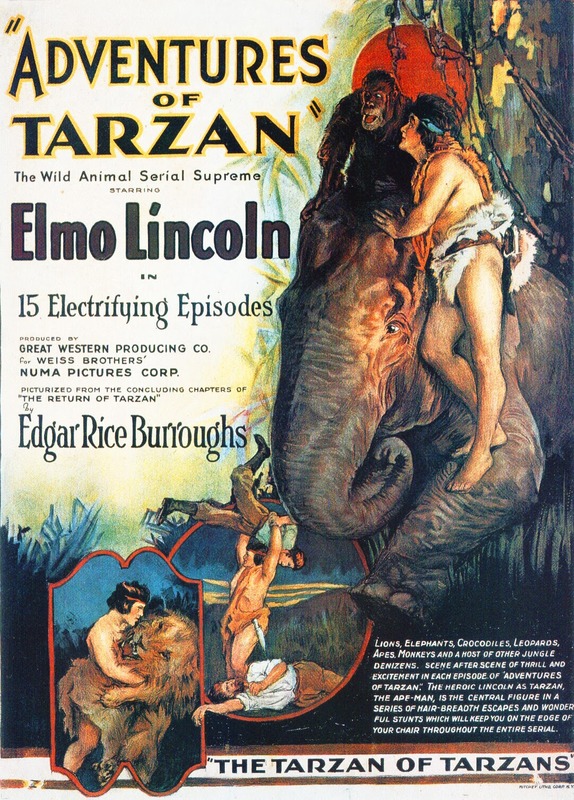 Michael and Noel are joined once again by David May to discuss Elmo Lincoln's return to the role of Tarzan in the 1921 serial The Adventures of Tarzan. Parts of it are lost, but The Serial Squadron has edited the remaining footage together, so we talk about how that worked, whether our opinions of Lincoln have changed since Tarzan of the Apes, and the introduction of some important elements of Tarzan lore. Now I've got "The Girl From Ipanema" stuck in my head. Thanks, Noel. Looking at Elmo Lincoln in his Tarzan getup, he looks like the middle guy in the standard evolutionary chart and his wigs look like dead possums. But he's got the good physically, that's for sure. Great episode guys! Looking forward to next month.